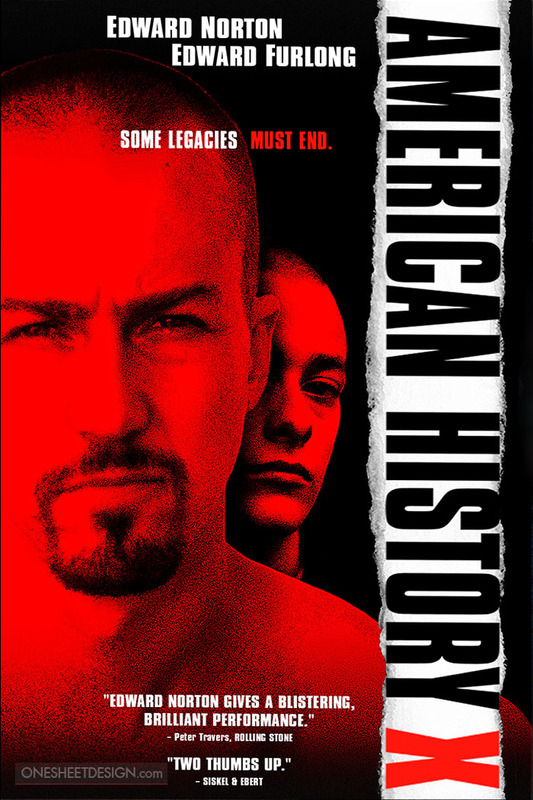 This week, Seomra Spraoi Cinema will be screening â€˜American History Xâ€™. American History X is a 1998 American film directed by Tony Kaye. The film tells the story of two brothers, Derek Vinyard (Edward Norton) and Daniel â€œDannyâ€ Vinyard (Edward Furlong) of Venice Beach, Los Angeles, California. Both are extremely bright and charismatic students, and Derek is drawn into the neo-Nazi movement after their father, a firefighter, is murdered by a black drug dealer while trying to put out a fire in a South Central neighborhood. Derek kills two black gang members trying to steal his truck, and is sentenced to three years in prison for voluntary manslaughter. The story shows how Danny is influenced by his older brother’s actions and ideology and how Derek, now radically changed by his experience in confinement, tries to prevent his brother from going down the same path as he did. I’m more than happy to uncover this web site. I need to to thank you for your time due to this wonderful read! !